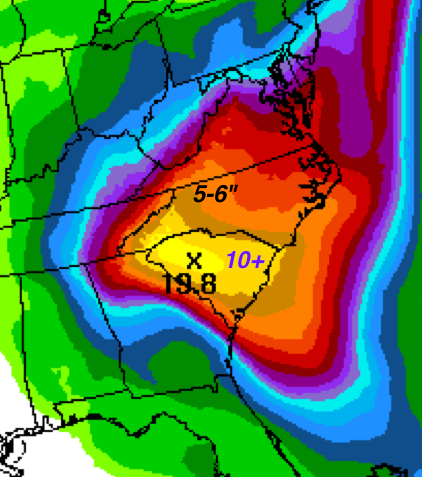 Here is the forecast rainfall for the Carolinas region from the NWS. It is very similar (different color scheme) forecast to what I posted earlier. This will bring catastrophic flooding to some areas. 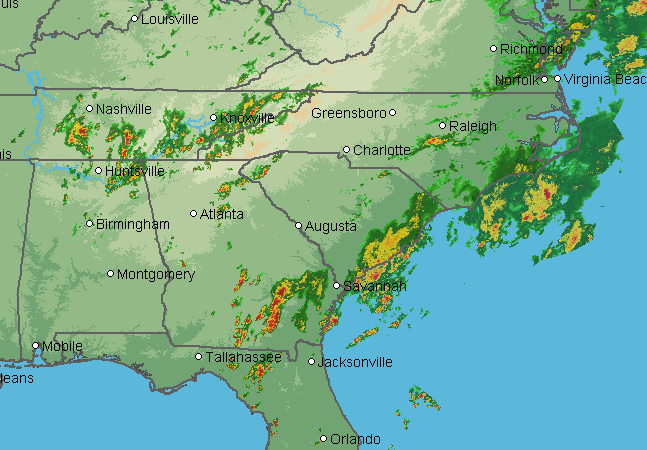 The rains have begun in the region and will rapidly increase over the area. If you have friends in this region, please relay this to them to insure they are aware of the threat. 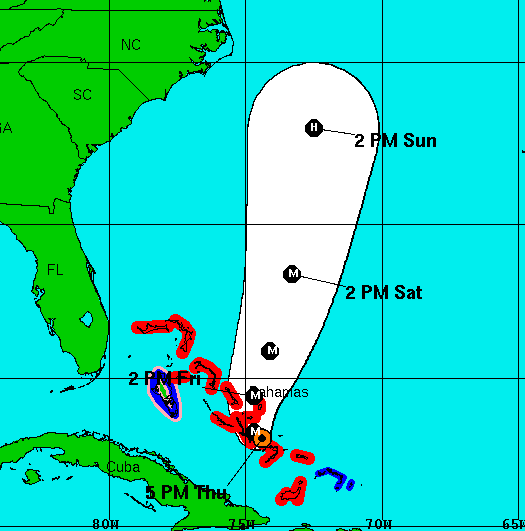 This is the latest 3-day forecast track of Joaquin. It is Category 4 intensity and has hit the central Bahamas very hard. There is very poor confidence as to the forecast after Sunday afternoon. Currently, most of the more reliable models take it out to sea but there are still some that bring it inland. I will update as we get more information. 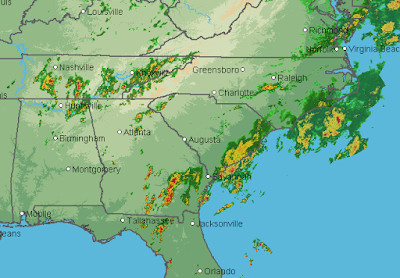 So, the big weather news is the horrible flooding that will develop in the Carolinas region.